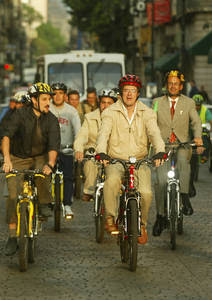 Mayor Ebrard’s city government has committed to build 186 miles (300 kilometers) of bike paths, or ciclovías, by 2012. This in a city where 57% of the city’s carbon dioxide emissions come from vehicle transportation, according to Mexico’s National Autonomous University (source: Treehugger). The plan is modeled on Bogota, Columbia’s Ciclovía and a similar plan in Copenhagen, Denmark, where planners want half of the commuter population to get to school or work on bike by 2015. How does your city and civic leaders compare? Is your Urban transportation planning division progressive enough? With the Detroit Auto Show 08 running this week, the BBC has been enthusiastically reporting on the future of the auto. With gas prices hitting $100/Barrel and a greater focus on the environment, greener cars are taking a front stage unlike in the past when they found it difficult to platform their inventions amongst all the steel and chrome. An interesting discussion caught my attention on how PG&E (Northern California’s Utility) and Google and working on a prototype for an Smart Electric Grid. The grid would charge your Hybrid during the off-peak time allowing you car would give electricity back to the power company. How would this work? If you participate in the program, PG&E’s technology would know when you plugged in your car for recharging – whether at home, work or elsewhere. A smart power grid would seamlessly allow utilities to shift the balance of energy from hydrocarbons to cleaner forms of energy. This, coupled with greater consumer education is a step in the right direction as it effectively addresses the sources of our energy dilemma. Tip: Look for an amalgamation of the Auto Industry and the Utility Companies as there is more innovation in this arena. Moving houses can be a very reflective experience. It signals new beginnings, new opportunities … and for many a fresh start. This weekend I spent a day helping a friend move into a new place – and after a full day of continuous lifting, packing and unpacking I came to many interesting observations. It helps to know what you are doing. Luckily for us, a neighbor decided to drop in to purchase a used couch and ended up helping us move in return for some spare change and a few nick-knacks. His experience as a professional mover cut down our work by half. It helps to have a big truck. Helps cut down on the number of trips so as to save on gas – I just wish they ran on Electric like UPS’s new Hybrid International Trucks. Moving is a very wasteful process. Yes it is. At every stage you find yourself questioning whether you need to upgrade that old tube tv to a flat screen plasma; those comfy couches for a leather set; or grandma’s old hand me down kitchen set for a new set from Crate and Barrel. Make lists – they help you remember the little things. If you rent, you almost have no say how you get your green power. None of the formidable options like solar panels, wind turbines are accesible for you. Think carbon offsets if thats an option. Sir Edmund Hillary, left, the lanky New Zealand mountaineer and bee keeper who with Tenzing Norgay, his Sherpa guide, won worldwide acclaim in 1953 by becoming the first to scale the 29,035-foot summit of Mount Everest, the world’s tallest peak. 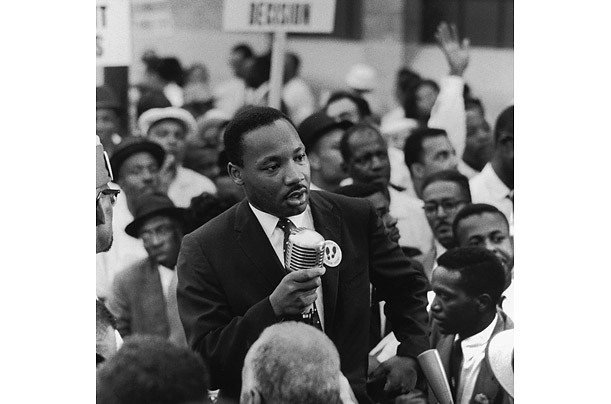 He died on Jan. 11, 2008. He was 88. No it does not have a power stearing or electronic windows, or even a standard a.c/heat function but it does have a very agreeable sticker price. At INR 100,000 ($USD 2500) this little wonder is poised to re-energize the entry-level auto car industry, not just in India but globally. For Ratan Tata, the company’s patriach – the challenge was to provide an affordable four-wheel transportation for the millions of first time buyers accustomed to getting around on two. While the Indian upper classes are snapping up roomier models and even imports like Mercedes-Benz, first-time buyers will provide a big chunk of growth for years to come. The nano’s design engineers had to question every aspect of the cars lifecycle including the car’s internal machinery, with greater emphasis for the vehicle’s safety and longevity. For example, reducing the weight curbed material costs and enabled the company to use a cheaper engine; also the car runs on a continuous variable transmission, a lighter alternative to manual or automatic transmissions. This micro-miracle is a four door, five seat hatch, and is powered by a 30 HP Bosch 624 cc four stroke engine (smaller than most motorcycles) mounted out back and mated to a CVT. That makes the Nano the first time a 2-cylinder gasoline engine will be used in a car with a single balancer shaft. The Nano’s also expected to get 54 US miles per gallon. There is already talk about a 2010 launch in Europe and other markets – but it would be interesting to see if Ratan Tata and his team stop here. The Nano’s size and weight make it a perfect platform for an E-85 or LPG/CNG car.